Stacie opened Good Life Wellness in September 2011 with the mission of treating and educating people so they can effectively and holistically manage their health and well being. Stacie’s practice involves healing the mind, body, and soul. She is an empathic healer and able to “read” the energy body to provide the client with a full perspective of their health. She has created her own modality called Energy Body Analysis as well as a curriculum to teach others her modality. Stacie was a public educator for 13 years with a master’s in Education from Indiana University. She graduated from Midwest Academy of Healing Arts in April of 2010. This 500-hour program included, Anatomy and Physiology, Eastern Anatomy, Contraindications, Professional Standards and Ethics, Body Mechanics, Massage History and Theory, Practical Methods and Application, and Clinical Practice. Stacie completed Soul Realignment Practitioner Training in 2012 to sharpen her intuitive skills. Since then she has begun offering readings to clients to help them better understand the root causes of health and well-being issues. This cutting-edge work is powerful and transformative and much needed in our Western culture. It was from these studies that she created her own modality to help people better understand their energy bodies and improve their overall health. 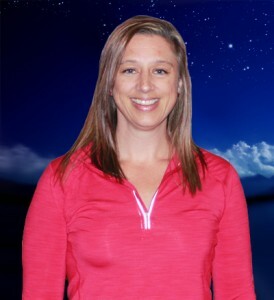 Stacie is committed to holistic health and has learned to help her own body heal digestive issues, allergies, muscular pain, and much more intentionally through alternative medicine practices that incorporate mind, body, and spirit. She is currently an apprentice of acupuncture at Whitewater Acupuncture.